A Florida law requiring people seeking welfare benfits to take a drug test has been blocked by a US federal court. The judge ruled that the law was unconstitutional and infringes a ban on unreasonable searches and seizures. Since the law was introduced in July, nearly 1,600 people have refused to take the test, according to reports. Under the Temporary Assistance for Needy Families scheme those who pass receive $180 (£113) a month, while a family of four receives $364 a month. While 32 people have failed the test, some 7,000 have passed since the testing began in mid-July, the Associated Press reports. Judge Mary Scriven ruled on a complaint filed by the American Civil Liberties Union (ACLU) on behalf of Luis Lebron, a 35-year-old Navy veteran and single father who applied for the welfare benefits but would not take the drugs test. He applied for benefits while attending university and cares for his four-year-old son and disabled mother. Applicants are not required to say why they refuse to take the test. Supporters of the measure say applicants are avoiding the test because the results would have been positive. The Florida Department of Children and Families says the majority of those who failed had tested positive for marijuana. Applicants are required to pay between $25-$35 (£22) to take the test, but only those who pass are reimbursed by the state. Florida Governor Rick Scott has said the measure could save the state as much as $77m, although it is not clear how the number has been calculated. 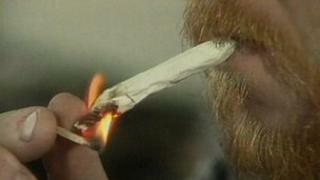 The ACLU says Florida is the first US state to enforce such a measure since 1999, when Michigan enacted a similar law. A judge halted the law five weeks later and it was deemed unconstitutional after an ensuing four-year lawsuit.